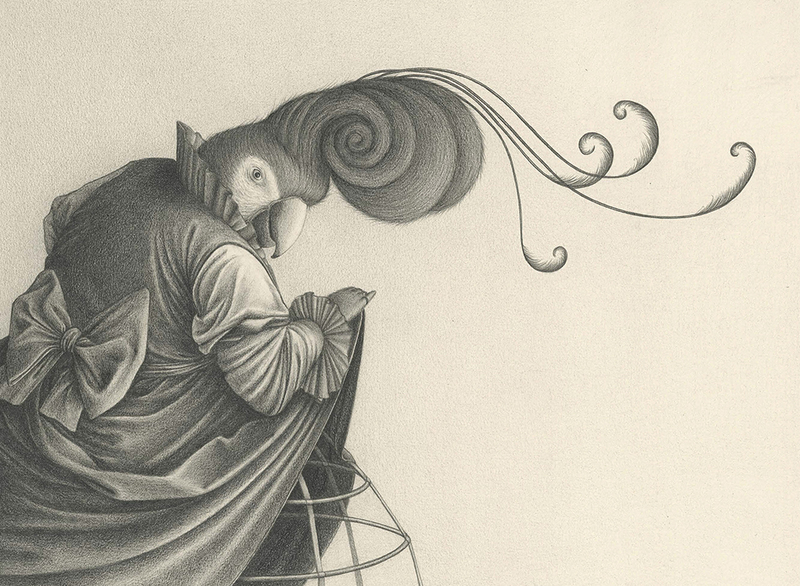 Mexican artist David Álvarez creates exquisite, otherworldly graphite illustrations. 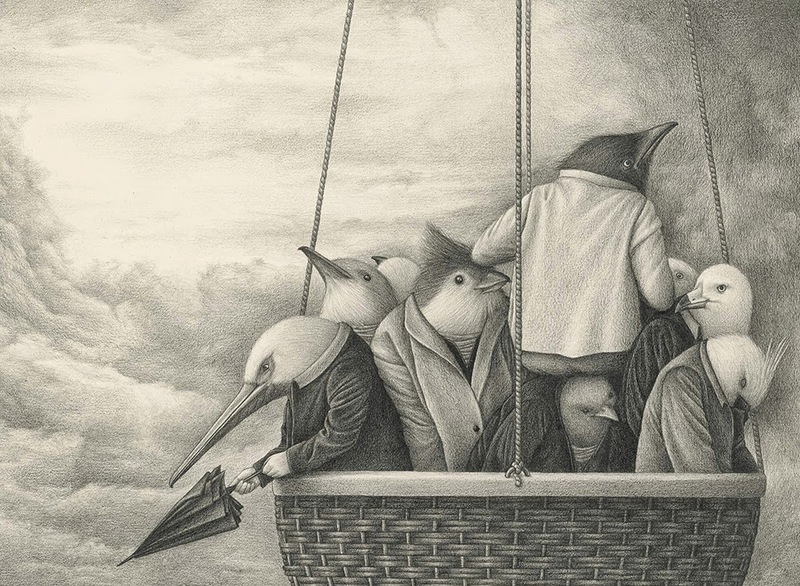 His beautifully drawn scenes feature anthropomorphised animals partaking in typically human activities such as reading a book and enjoying a flight in a hot air balloon. 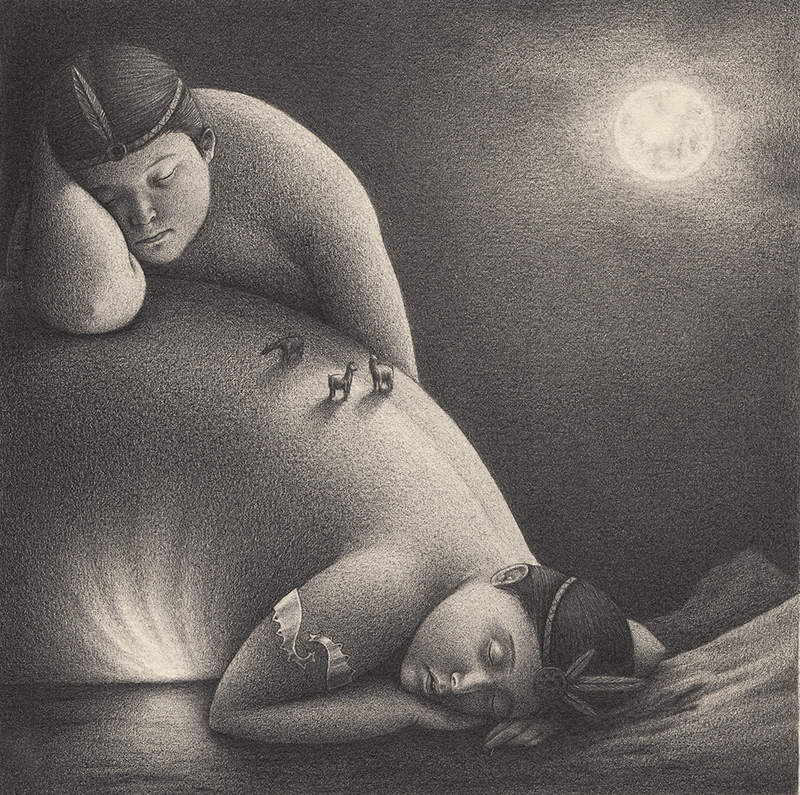 It was at school that he discovered graphite and it’s many possibilities, and honed his interest in handling light and shadow in figurative drawing. 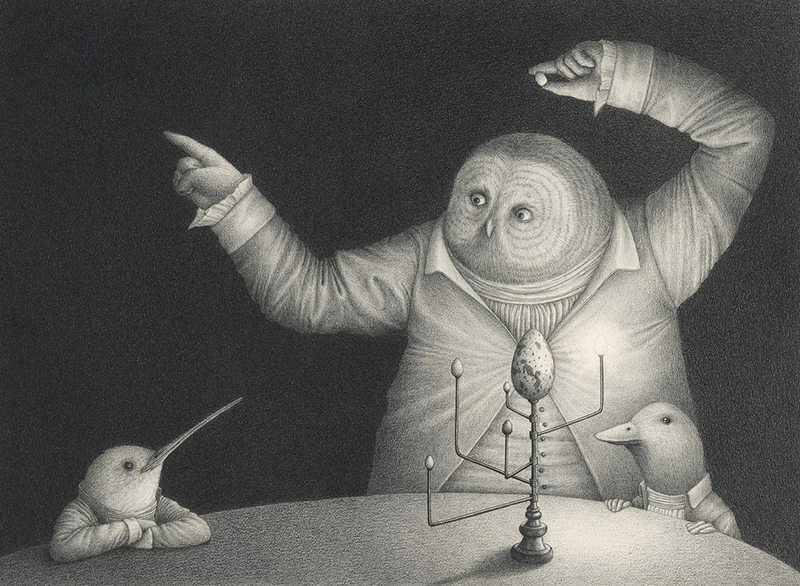 As well as being cute, his pictures possess a cool strangeness that is magical realist in essence. 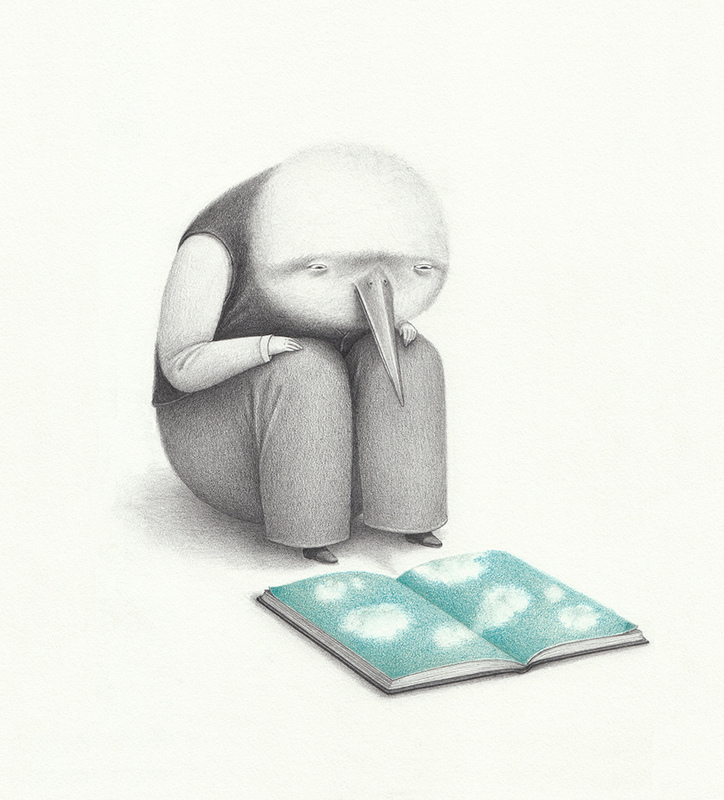 An air of melancholy surrounds them too, as well as a sense of restrained playfulness. They are like a window into another world.